This Federalist-style four-story building across the street from the Basilica of St. Patrick’s Old Cathedral was the church’s former school and convent for nearly 200 years. Built in 1826 to replace an orphanage and parochial school founded in 1822, Old St. Patrick’s Cathedral School educated generations of locals and immigrants (including Martin Scorsese; according to a New York Times article he “struggled under the merciless ministrations of the Sisters of Mercy”) before closing in 2010. In 2014, the archdiocese sold it to Hamlin Ventures and Time Equities, who hired Marvel Architects to design the Residences at Prince, a seven-unit condo attached to a 6,100-square-foot space still retained by the church for its offices and community space. 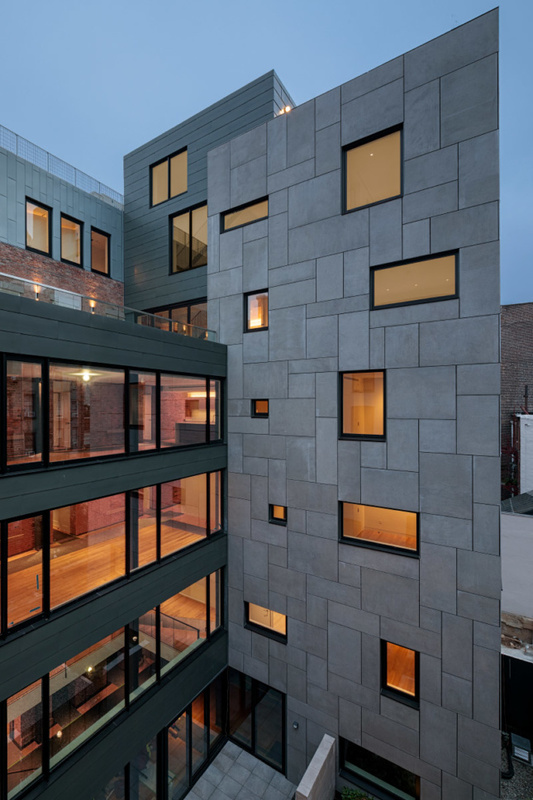 Because the structure is a landmark, the exterior elements—namely the windows—were restored. “Integrating glass into [the] historic facade, we supported the architect to update the aesthetic,” said Spencer Culhane, building envelope specialist at Schüco. 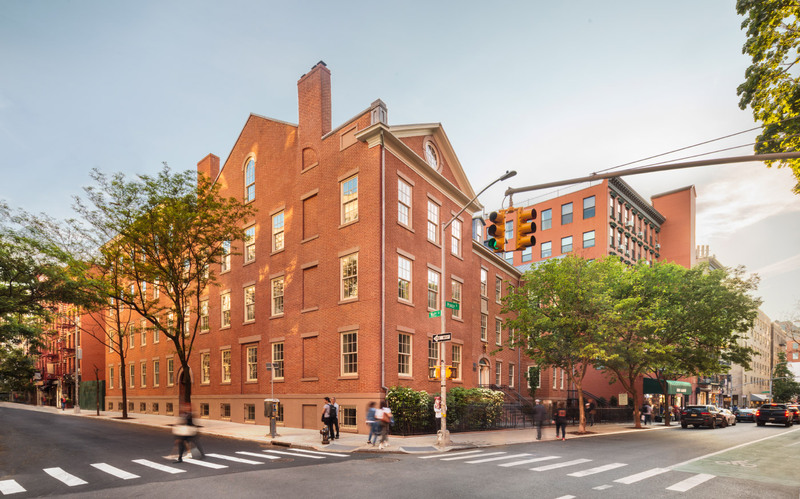 Preservation consultant Higgins Quasebarth & Partners and Marvel completed the restoration using two styles of windows since the building was built in two different time periods. “The new wood window sashes are shop painted with a durable finish to provide a long-term protected finish,” said Nebil Gokcebay, associate at Marvel. 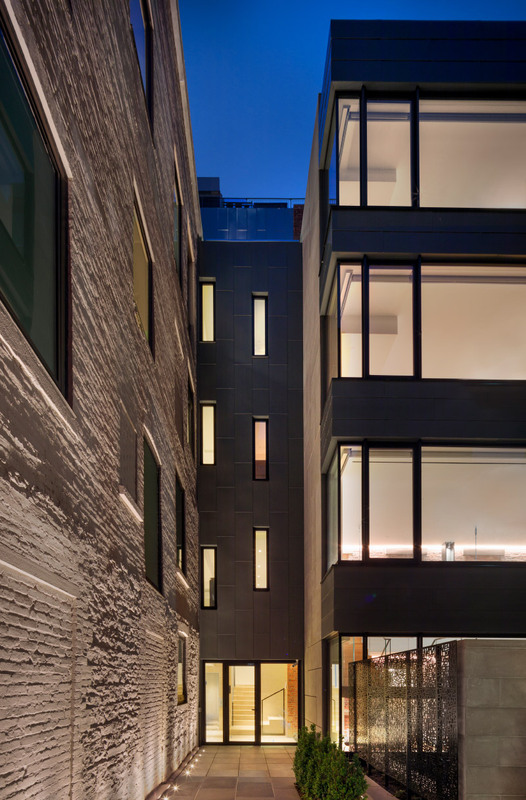 In the interior courtyard, new expanses of glaze and thermally broken windows were installed. 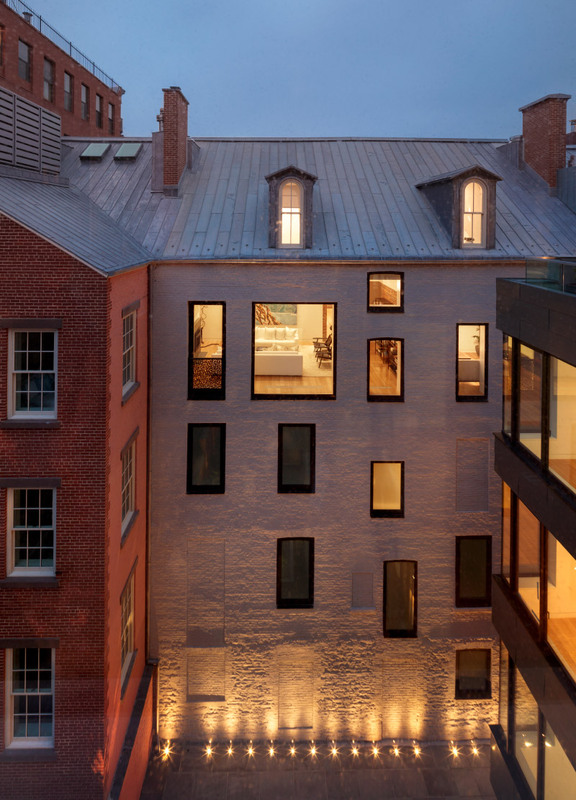 Having undergone numerous revisions, the south-facing 200-year old facade is patched up by bricks that fill up what were previously windows. This playful window arrangement (lower level windows occupied by the church are opaque) inspired the new north facade. A similar asymmetrical composition was made with Schüco’s AWS windows throughout. 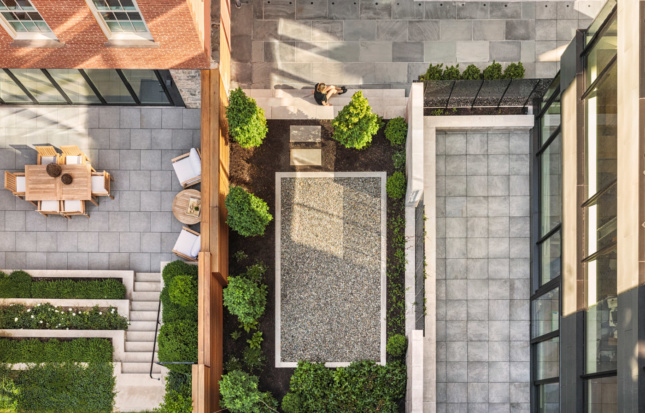 “Between the design starting point and in contrast to the historic double-hung windows in a pre-Civil War wall, we developed an all-glass vocabulary,” said Jonathan J. Marvel, principal at Marvel.